Australian top model Catherine McNeil leaves little to the imagination while posing for "Body of Evidence" in Vogue Russia's January 2014 issue. The industry veteran's smouldering sensuality and powerful presence is the perfect fit for the burlesque-themed editorial. Photographer Txema Yeste captures the Society Management NY repped model in bold black corsets, leather jackets, and figure hugging ensembles styled by fashion editor Olga Dunina. 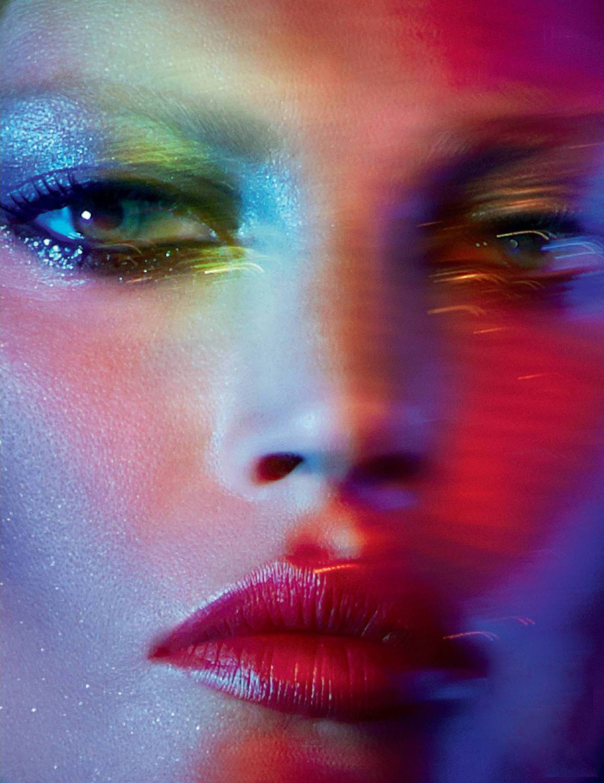 McNeil's womanly physique and spectacular features are placed under the microscope in a series of studio shots with her body and face adorned with glitter and neon-hued make-up. McNeil imbues each image with her magnetic presence, one-of-kind personality, and a litany of intriguing body art. Here in lies the strength of McNeil's enduring appeal, who following close to a decade in the industry spotlight continues to grow in strength with each passing year. The twenty-five year old Brisbane native has enjoyed a prolific career beginning with an exclusive six month modelling contract with photographer Mario Testino followed by a string of campaign appearances for Hugo Boss, Versace, Givenchy, Dior, Louis Vuitton, Donna Karan, and Hermes. McNeil's editorial presence continues to be felt in recent bookings for Interview Germany, French Numéro, W, Harper's Bazaar, and Australian Vogue.